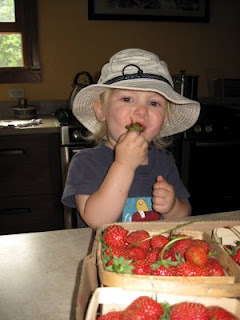 I read some excerpts recently from a book called “French Kids Eat Everything” by Karen Le Billon. It was interesting to read the cultural differences between Americans and the French. It’s more about the parents expectations for kids trying new foods rather than the kids themselves in the author’s opinion. She indicates that she feels when American parents are trying to get their kid to eat new foods and the kid won’t eat it, then the parent thinks that the kid doesn’t like it. However, it is her opinion that French parents think that if their kid won’t eat a new food it is simply because they haven’t tried it enough times. Just exactly what you were talking about with exposure to new foods.